Donald A. Kinzer, age 83, St. Cloud, MN, died Wednesday, December 3, 2014 at St. Benedict’s Senior Community, St. Cloud, MN. A memorial service celebrating Don’s life will be Monday, December 8, 2014 at 11:00 AM at First United Methodist Church of the St. Cloud Region, 1107 Pinecone Road, Sartell, MN. Visitation will be one hour prior to the service at the church on Monday. Lunch will follow. Funeral arrangements were made by Benson Funeral Home, St. Cloud, MN. Donald was born May 19, 1931 in St. Louis, MO to Jesse and Leonore (Williams) Kinzer. As a teen, he attended a church camp at Arcadia, MO and there had what he referred to as a “Mountain Top Experience” and a call to become a Christian minister. 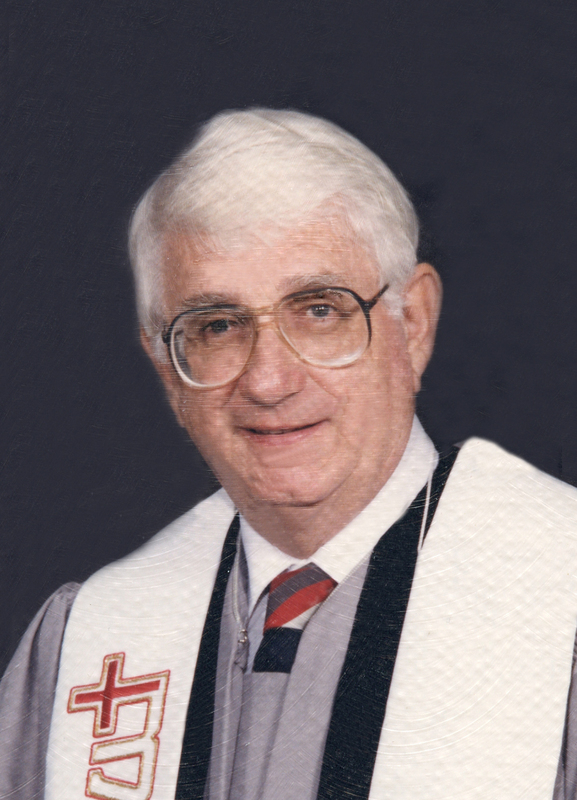 Don served as a United Methodist minister for 42 years. He was ordained a deacon in 1961 and an elder in 1963. Donald graduated from Central Methodist College in Fayette, MO. It was during his college years, he met and married his wife, JoAnn Fine. Don graduated from St. Paul’s School of Theology in Kansas City in 1963. During his senior year, Dr. Paul Snyder, District Superintendent from Minnesota came to the school recruiting ministers to fill churches there. Don’s first church was in Annandale and Kimball, MN. With the numerous lakes in the area, and Don being an avid fisherman, he thought he had already died and gone to heaven. He served many churches and was involved in several building projects: two parsonages-church additions and a new church in Mendota Heights. Many referred to Don as a good pulpit man, giving wonderful sermons. He was there to bring comfort in any way to all who were sick or hurting. Over the years he taught many bible studies, disciple study, as well as many others. Don spent 42 years serving God and the wonderful people he was privileged to serve. Don is survived by his wife of 63 years, JoAnn Kinzer of St. Cloud, MN; children, Rebecca (David) Nagorski of Coronado, CA; John (Mary) Kinzer of Ironton, MN; Dan (Linda) Kinzer of Rochester, MN; Alice (Lee) Wetzel of Chesapeake, VA; ten grandchildren, Taylor, Chad, Julie, Jennifer, Elizabeth, Roni, Rachel, Megan, Jesse and Ryan; nine great grandchildren; sister, Norma (Alan) Aden of Longwood, FL; two nieces and one nephew. In lieu of flowers memorials are preferred to First United Methodist Church or St. Croix Hospice. Click here to view a video tribute.